Despite the heat, though, we’re not yet in the lazy, hazy days of summer (in fact, it’s now in the 50s as I type this), when all we want is to sit around and eat watermelon and ice cream under a fan. There’s still baking to be done. 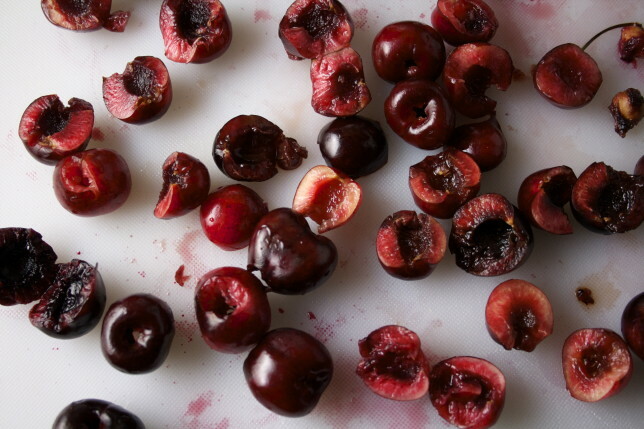 And suddenly, cherries baked into something lovely sounded perfect for the end of May. 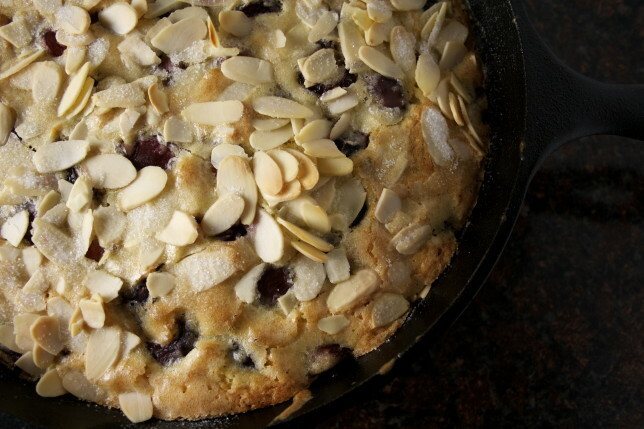 Enter this cherry almond breakfast cake. Based on the apple buckle, it’s fluffy and almost creamy, accented with almond extract, and just barely sweetened, complimenting the cherries, which hold their shape and gently release their slightly mellowed juices, just perfectly. A sprinkling of sugar gives the top a light sheen, and a healthy scattering of sliced almonds gives it crunch. 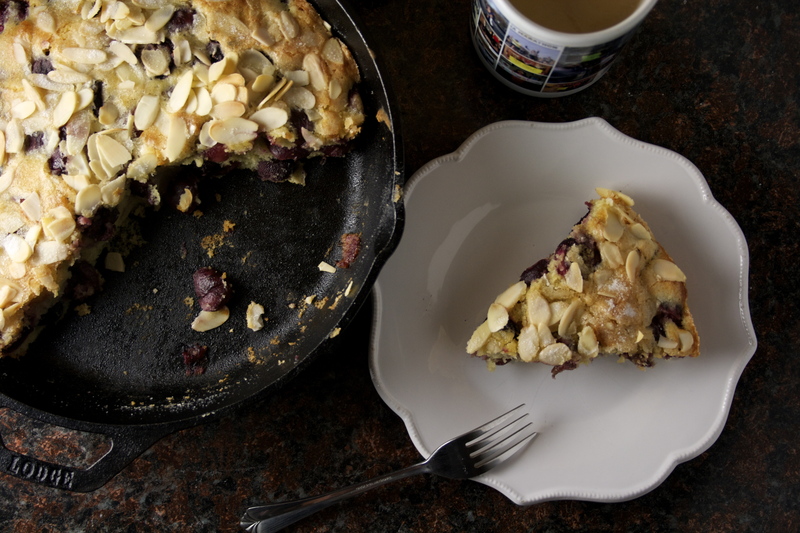 It was perfect with a couple of fried eggs and creamy blueberry coffee on a warm, sunny morning, but would be equally at home with a dollop of whipped cream or a scoop of ice cream for dessert on a cool night. Consider me won over. 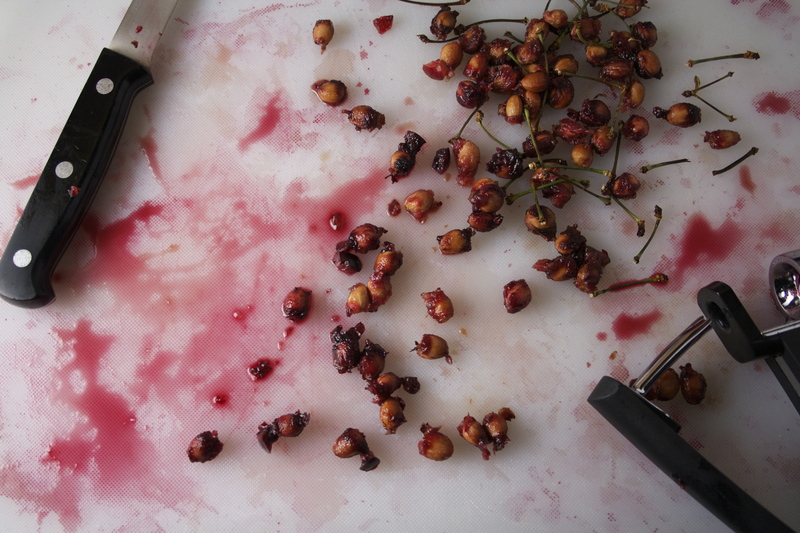 So long to the cloying distraction that syrupy cherries have become in the mainstream. This cherry almond breakfast cake proves that cooked cherries can still be, well, cherries. Call it a breakfast cake, a coffee cake, or a buckle, this beauty bakes up perfectly balanced for any occasion. 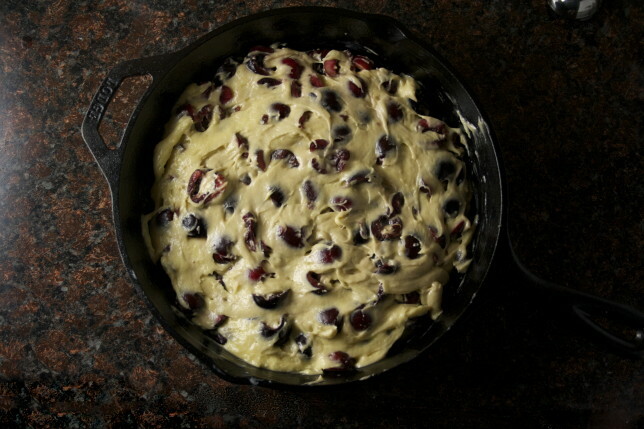 It was the perfect height in a 10-inch cast iron skillet, but you can also use a square baking dish, or even a round cake pan, so long as the sides measure at least 2 inches. I didn’t toast the almonds before I sprinkled them on, but I think it would make this even better. They didn’t get as toasty as I thought they would in the oven, so a light browning beforehand would give it an extra kick of warm, almond flavor. Using an electric mixer, cream butter and ½ cup sugar in a large bowl until fluffy. Add almond extract and the eggs, one at a time, and beat to combine. With the mixer on low, gradually add the flour mixture to the wet ingredients and mix until just combined. Gently fold in cherries. Spread batter into prepared skillet. 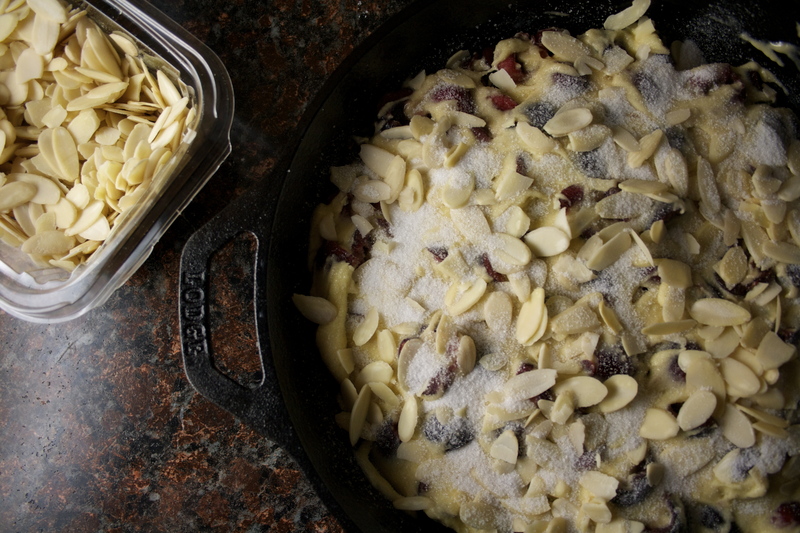 Sprinkle 2 tablespoons of sugar over the cake, then sprinkle the almonds. Bake for 45-50 minutes, or until a toothpick inserted into the center comes out clean. Let cool in the pan for 15-20 minutes before slicing and serving.